From left: SAFE STEPS First Aid Ambassador Dr. Maria Guevarra, Prudence Foundation Director Justin Chang, Pru Life UK Chief Financial Officer Lee Longa, PRC OIC Secretary General Elizabeth Zavalla, PRC Assistant Secretary General Dr. Zenaida Beltejar, PRC Safety Services Unit Manager Von Ong. A regionally implemented program, SAFE STEPS First Aid aims to contribute to lowering these statistics by providing people with fundamental first aid information and knowledge, enabling them to be less vulnerable in an emergency situation and help others in need. The program consists of videos, safety cards, posters, and other educational materials covering basic first aid topics, including burns, broken bones, choking, CPR, severe bleeding, and stroke. The SAFE STEPS program also includes SAFE STEPS Road Safety which provides similar materials covering key road safety topics to help the public be safer on the roads. 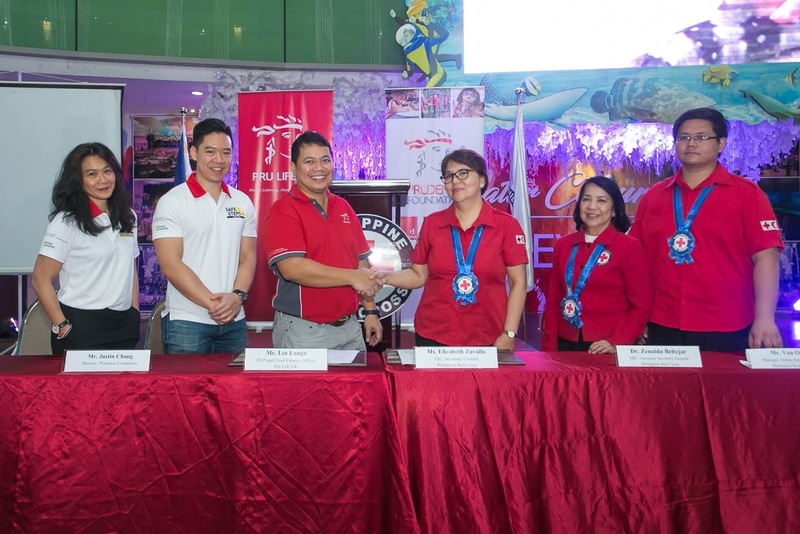 In the Philippines, the partnership with PRC will boost SAFE STEPS First Aid’s education materials reach among Filipinos as these materials will be distributed locally in PRC’s offices, blood centers, website, social media pages, and its soon-to-be-relaunched first aid mobile app.